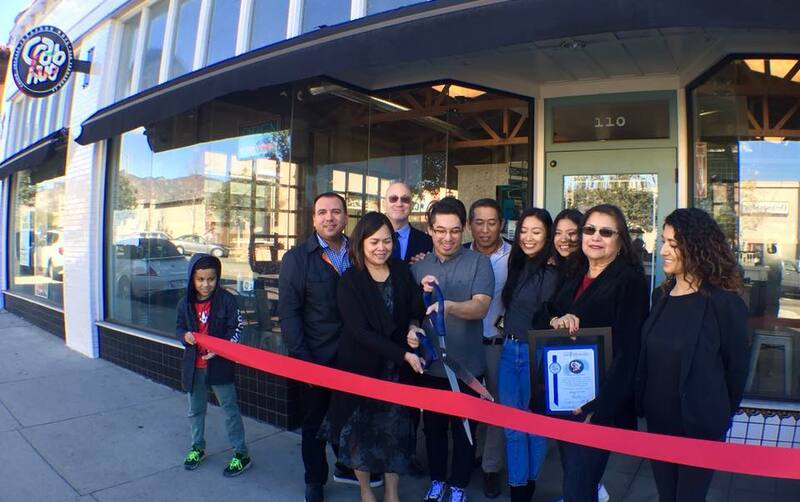 San Fernando city Chamber of Commerce welcomed two new members and supported them at two great Grand-Opening events Saturday. First was our newest dinner destination, the Crab Hub. While there are dozens of places to get Mexican food in the northeast valley, a good sea-food restaurant, or a Louisiana style Resturant are almost impossible to find. Enter the Crab Hub, right in the center of San Fernando at the location occupied previously by Compina, the Crab Hub is the only place in town you can get Craw Fish, Shrimp, Crab, Mussels, and all the extras. Mayor Sylvia Ballin and city council members Joel Fajardo and Antonio Lopez attended along with the new City Manager Alex Meyerhoff and our Police chief Tony Viaro. City officials and their families were joined by our Chamber President Adriana Gomez and Tom Ross chamber Board Member. Families, friends and locals showed up for a packed house and full tables of some of the best cajun-style sea food around. The Chamber Welcomes the Crab Hub to town, and we hope everyone has a chance to visit this new and quality restaurant. Later Saturday Afternoon the Second of our new Chamber members and Businesses in town held a grand opening Celebration. 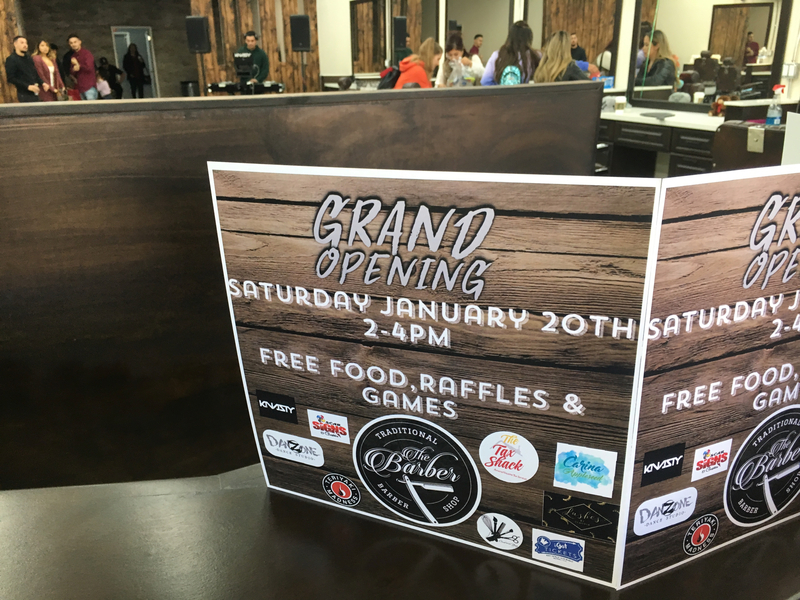 with friends, family, and a variety of local businesses catering, Guadalupe Mora opened his new mens hair-care shop “The Barber”. With over 1 barber chairs and an industrial decor, this Barber shop is one of the finest to open in town. 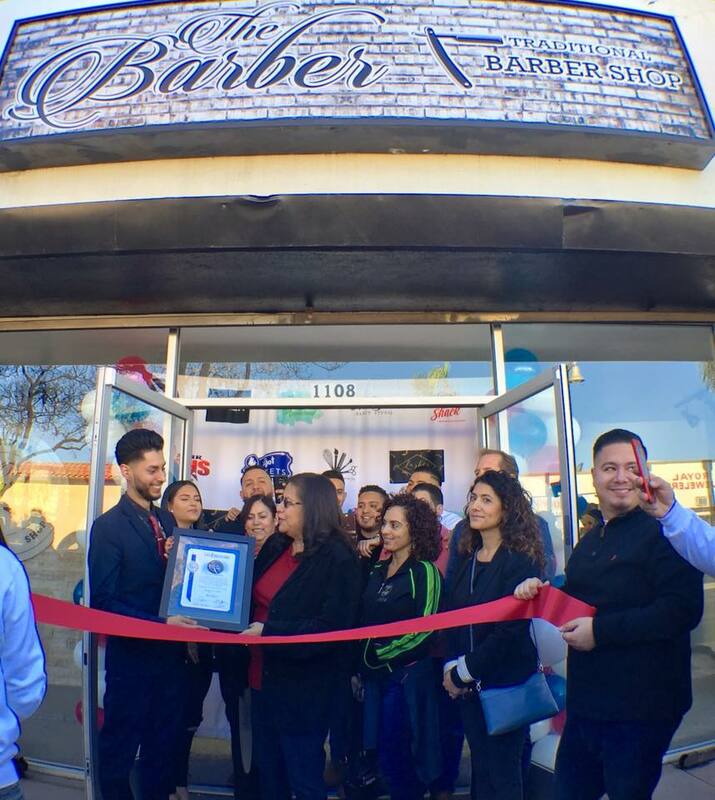 Located right on the San Fernando Mall just three doors from Maclay, The Barber is an example of the renaissance and rejuvenation of our downtown area. The owner Lupe is a member of our Chamber Government Affairs Committee and is dedicated to not only providing an excellent experience for each of his customers, but is putting his time and Tallent into helping to improve the business climate and build the offering of business and entertainment here in town. If your not already getting your hair cut here give it a try. Or just come by and congratulate Lupe and his staff on a great new location.